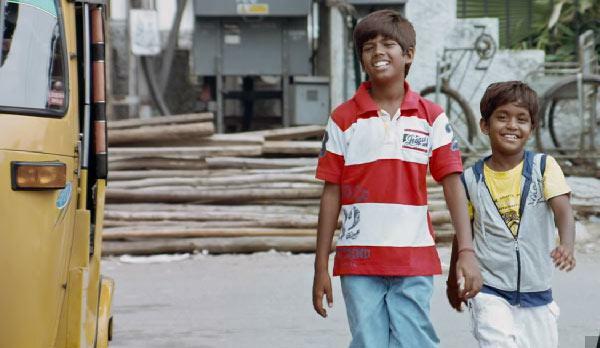 Debutant director M Manikandan's Tamil drama "Kaaka Muttai", which is about adventures of two street urchins for their first pizza, has raked in Rs.2.4 crore in first two days since its release in the country. "It's a small film that has taken the box office by storm. With absolutely no stars, it has grossed Rs.2.4 crore at the box office in two days in India, and that's phenomenal," trade analyst Trinath told. Jointly produced by actor Dhanush and filmmaker Vetrimaaran, "Kaaka Muttai" has been presented and marketed by Fox Star Studios. The film, which also pocketed two National Awards for Best Children's Film and Best Child Actors for Ramesh and Vignesh this year, released in cinemas on June 5 with English subtitles.